CNN's GUT CHECK | for November 28, 2012 | 5 p.m.
On this week in history, FDR, Winston Churchill and Joseph Stalin met in Tehran to discuss World War II. Why did the trio choose Tehran? 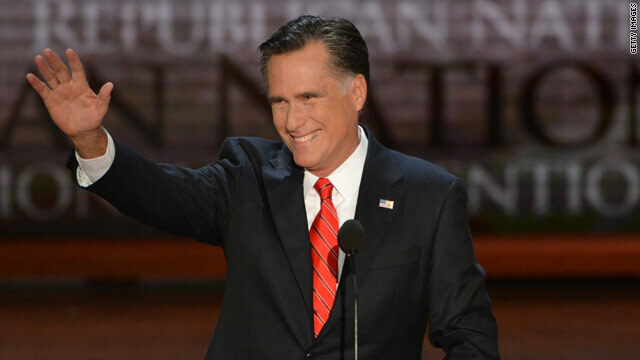 A full throated defense of Mitt Romney by a senior aide and a strong warning by a Republican elder has caught our eye, three weeks after President Barack Obama won a second term and Democrats picked up seats in the House and Senate. Stuart Stevens and Newt Gingrich do not seem to have much in common – the former is the type of political professional who the latter frequently criticizes for the GOP’s woes. But in separate opinion columns today, they both agree that Romney should not bear the blame for failing to win the White House. It makes sense that Stevens would defend his candidate – after all, he was Romney’s chief campaign strategist. In the weeks after the loss, there has been grumbling from some Republicans who charge Romney wasn’t conservative enough or was just a bad candidate. “On Nov. 6, that wasn’t enough to win. But it was enough to make us proud and to build on for the future,” he writes. Gingrich notes that since George H.W. Bush defeated Michael Dukakis in 1988, Republicans have gone on to lose the popular vote five out of six times. It is time, Gingrich says, for the GOP to rethink how it operates. “There are big problems from the failure to think strategically about issues, to the unwillingness to engage the proliferation of infotainment outlets, to the methodical failure to include minorities even when they agree with us on values and issues,” Gingrich writes. Gingrich also urges activists to take back control of the party, which he claims is being run by political professionals interested only in financial gain. “Instead of looking at the Romney campaign in isolation Republican activists and analysts should be looking at the culture, structure and system of the GOP and its consultants, people who are paid for campaign advice without long term institutional responsibilities,” Gingrich says. This is just the beginning of a long introspective review for the GOP as it seeks to put 2012 behind it and recalibrate for the midterm elections in 2014. What’s your biggest question about the #FiscalCliff? Send to @jjsahadi and @richbarbieri for possible use in a @CNNMoney quiz. Despite chatter, those who know Kerry say they can't see him taking any post besides sec of state. And he'd likely stay put if passed over. Collins: John Kerry would be an "excellent appointment and easily confirmed by his colleagues." Romney aides say fmr GOP nominee subletting an office at Solamere Capital, investment firm run by son, Tagg. But not joining the firm. Alan Simpson, always good for a quote, tells @MitchellReports that Grover Norquist is "becoming irrelevant. ... You can see it in his eyes." During World War II, when President Franklin Roosevelt, Soviet leader Joseph Stalin and British Prime Minister Winston Churchill met there, Tehran was critically important to the war effort. Because Germany controlled much of Europe, the Balkans and North Africa, the United States had a difficult time getting supplies to the Soviets, who were waging war on Germany from the east. Due to these complications, Iran was seen as the optimal route to get supplies to the Soviets. This desire for an open supply line to Russia even drove the British and Soviet government to compel Reza Khan, the shah of Iran, to abdicate his power to his son, Mohammad Reza Pahlavi. The allies were fearful of Khan’s minor ties to Germany and knew that Iran, because of the Trans-Iranian Railway, was critically important in the war. At the meeting, according to Roosevelt biographer Doris Kearns Goodwin, the three leaders agreed to invade Europe through Normandy, France and the Russians promised to aid the United States in its fight against Japan. Congratulations to Greg Dean (@gregdean11) for correctly answering today’s Gut Check Trivia question.